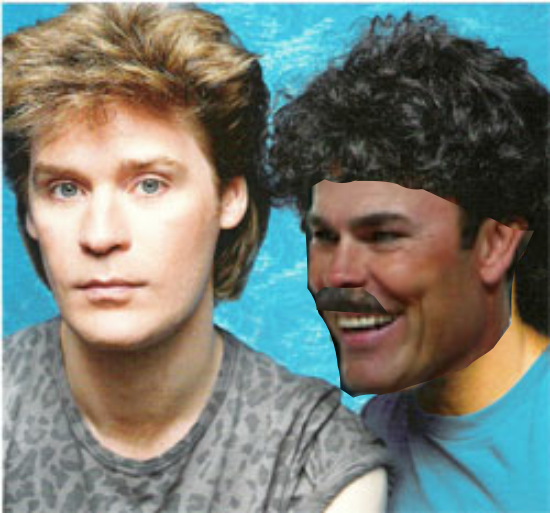 From what I know, Adam Oates was once a singer in the 80's but after a rough breakup with bandmate Hall concerning who's name came first in the band name, he decided to play hockey. Oates became a player for the Boston Bruins in NHL 94' and he always scored a bunch of goals. But how does that translate into coaching the defensive grind it out Dale Hunter style hockey? Seems like the Polar opposite! Not sure what Ted is thinking but My Private Eyes, They're Watching You, They See Your Every Move! The Caps did well last season, but didn't really step up til the Playoffs. And even then their Power Play and offense in general struggled. Hopefully Adam Oates will be able to keep them playing rough hockey while getting back to their strength of scoring. Another early exit in the playoffs? I Can't Go For That, No, No Can Do! So if the story is true then we better get ready. 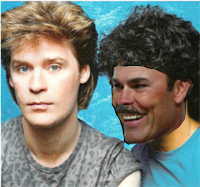 Adam Oates is coming. Oh-oh here he comes, watch out boys he'll chew you up. Oh-oh here he comes, he's a maneater! Let's Go Caps. And F**K Hall!